President Elect's official projection of the 2008 Electoral College vote, pitting Republican Senator John McCain against Democratic Senator Barack Obama, shows that the United States will be electing its first black President. President Elect projects that Senator Obama will win 338 electoral votes and Senator McCain will win 200. President Elect's analysis of the 2008 Electoral College vote, pitting Republican Senator John McCain against Democratic Senator Barack Obama, shows that if the election were today the United States would be electing its first black President. President Elect projects that Senator Obama will win 353 electoral votes and Senator McCain will win 185. This is the last update before I make the site's final projection the day before election day. So here is a rundown of where things stand and what we might expect to see in the coming days. McCain has one long shot road to the White House. He would have to take Ohio, Florida, Virginia, North Carolina, Nevada, and Colorado away from Obama, while holding onto Missouri, Georgia, and Indiana. That would give him 274 electoral votes. Is that possible? The polls in all those states are running at 5% or less between the candidates, so yes the possibility is there that with enough voter turnout (or a lack of it for Obama) McCain could pull it off. But it would take a turn of a historic proportions for him to be able to get that done in the next four days. As far as I'm concerned Obama has the election all but won. The only question now is by how much will he win. I think there is a wide range it could be in. At the top the most I believe he could conceivably win is 379. The least would be the McCain win above giving Obama 264. Most likely is somewhere in the 315-355 range. Here's what to look for in the coming days. Missouri and Indiana are extremely tight -- the only reason they're pink right now is because of their recent voting tendencies. Virginia and North Carolina are creeping back towards the McCain camp. But with only four days left it may be too little too late. Ohio and Florida are very close, but they have been consistently close for Obama for some time now. That steadiness (in contrast to a state that is close but fluctuates back and forth between the candidates) makes me feel they will probably stay in his column. Media reports have said Pennsylvania, Montana, North Dakota, and Arizona are in play but I don't think so. Very much unlike the elections of 2000 and 2004 where I mentioned in just about every update in the few weeks before the election that the electorate seemed to be switching allegiances with every new poll, this election year shows a steadiness of opinion. There has been no major movement in the past two weeks. Several leaning states are seeing things tighten up, so don't get complacent yet if your candidate has one of them in his column. Ohio, Indiana, West Virginia, and Florida are leaning a little more towards McCain. But Missouri and North Carolina could soon be on Obama's side. Even North Dakota is starting to move slightly towards a lighter shade of red! The bad news for McCain -- and great news for Obama -- is that even if McCain picks up those states and holds the rest, he still is not close to having enough votes to win. The only actual change on the map this week is Indiana which is tightening up a bit. Obama appears to be doing a fairly good job of holding what he has in the last two weeks, which is all he has to do to win. McCain is making progress in the electorally huge states of Ohio and Florida. But with 11 days to go until the election, this race may be all but over. Why? Let's go ahead and assume McCain can pull Florida's 27 votes and Ohio's 20 votes from Obama. Let's further assume he also gets the 18 votes from the Obama leaning states of Virginia and Nevada, and holds onto the 42 votes of his leaning states of North Carolina, Missouri, Indiana, and West Virginia. Even if he were to somehow pull that off (which would be a spectacular feat with less than two weeks left) he still would not have enough votes to win. Obama only has to hold the 2004 Kerry states (which he is doing with ease) and then pick off New Mexico, Iowa, and Colorado -- all states he is doing very well in. Everyone loves to speculate about tie scenarios so here is just about the only one left -- though it is looking very unlikely at this point! If McCain can take Florida, Ohio, Virginia, and Colorado -- and hold his current states -- we'd have a 269-269 tie. Obama's lead is increasing but the upwards trend is starting to slow -- if only because he's running out of states to take! The move of Florida to his column, along with Ohio and Virginia previously, would all but be the end of McCain. However, McCain is actually still in this thing. Indiana is moving back to this column. And I almost left Nevada pink and moved Ohio back to him. There is a small, but definite reversal of Obama's recent gains in some traditionally red states. Unfortunately for the McCain camp it may be too little too late. Obama's lead is impressive considering recent close elections. But as the candidate said himself this week, this is no time for his supporters to get cocky. In 1980, Carter had an 8 point lead in the polls two weeks before the election. Late undecided voters broke Reagan's way. And that long shot may be McCain's only hope at this point. President Elect projects that Senator Obama will win 306 electoral votes and Senator McCain will win 232. Well, this map hardly needs any commentary! Similarly to 1980, many voters seem to have been waiting until near the end to make their decision on who to vote for, breaking what was beginning to look like a possible deadlock. Other than Florida going blue -- which is still a real possibility -- this is just about the worst case scenario for McCain. Every state that moved this week moved in Obama's favor. Every state still leaning towards McCain is trending closer to Obama. And Obama is solidifying his hold on his states. In fact he is just six votes shy of having the presidency just with solid states! The only straw for the McCain camp to grasp on to this week is that they still have three weeks to stem the tide, and they only need to get back at least three states they carried in the last two elections. President Elect projects that Senator Obama will win 273 electoral votes and Senator McCain will win 265. While the numbers may seem the same as the last analysis, the circumstances are much different. In that map things were trending towards the Republicans. That has been reversed in the current map. While no state switched sides there were several that changed shades, all but one in the Democrats' favor. Worse for the GOP is that other states leaning towards them -- Florida, Nevada, Ohio, and Virginia -- are right on the tipping point and could easily be a shade of blue next week. Losing any one of them would mean an almost certain loss for McCain. That, and the fact that several more leaning states may soon turn solid for Obama, is all great news for the Democrats. But they need to be careful. Yes, things are looking good but it is still technically a one state race. If the Republicans can hold what they have they would just need to pick off any one state leaning Obama's way to win. For the first time since 1960, it looks like a vice presidential candidate could change the face of the race. McCain's selection of Sarah Palin as his running mate has energized conservatives who seemed to be sitting out this election. Traditionally red states that were just leaning towards McCain's camp are solidifying for him and, more importantly, traditionally red states that were in Obama's camp are returning to the fold. Even a few blue states have lightened their shade a bit. Changes in this map include: North and South Dakota and North Carolina back solidly on the Republican side. Virginia leaning from Obama back to McCain. And Washington and Pennsylvania move from solid Obama support to leaning. If this map holds it looks like New Mexico and Colorado could hold the keys to this election. Both are very close and I seriously considered moving them to leaning McCain. With just one of them he would have enough votes to win the presidency. So how bad is this for the Democrats? Not that bad actually. All it means is the advantage they had is all but gone. They are basically back to the map they fought against in 2000 and 2004. Pick off one or two red states and they're in. President Elect projects that Senator Obama will win 286 electoral votes and Senator McCain will win 252. As I mentioned two weeks ago, big changes are brewing. More states are in play by both candidates than in 2000 or 2004. States that should be solidly red or blue are seeing different shades. At this point I can not even guess where this election might end up as too many states are just too close to call. But of course, unlike the major news sources, projecting the too close to call states is what I do here! Changes since last time: Obama and McCain have solidified their standings in Iowa and Missouri respectively -- for the time being. Obama is looking strong enough in Virginia that he could overcome their tendency to vote Republican in presidential elections. And Ohio is currently swinging towards McCain. But like any swing it may start going the other way soon. Other items of note: The Dakotas are still not solidly behind McCain. New Mexico and Colorado are just about as close to tied as you can get. Ignoring the seriousness of presidential elections for a moment, I think we can say this particular election is getting very interesting and could be a lot of fun to watch! President Elect projects that Senator Obama will win 293 electoral votes and Senator McCain will win 245. - North and South Dakota: switch from solid McCain to leaning McCain. This could be a big problem. The Dakota's have been fairly safe states for Republicans (in presidential elections) and this crack in the solid red states could mean a more major shift is about to occur. - Minnesota and Iowa: switch from solid Obama to leaning Obama. Along with Wisconsin and Michigan going light blue recently this move ,while not as surprising as the Dakotas, is still worrying for the Democrats. It appears that the same shift that recently saw West Virginia slip to the Republicans could be occurring here -- white, working class voters who don't share as much with the Democratic Party as they used too. - North Carolina: switch from solid McCain to leaning McCain. Not a big shock. NC has moved easily between parties, nationally and locally, the past couple of decades. And both parties would dearly like to have it this time. Other states that are definitely in play and could see a switch in shades or colors soon: Alaska, Virginia, and Colorado. Starting today the electoral analysis schedule will be accelerated. And with all this uncertainty in the polls we couldn't be starting at a more interesting time! Look for the next update in two weeks. Ohio and Florida -- I know, not them again! But once again they are razor tight. I could have probably picked red or blue for either of these states and been happy with that prediction. Colorado and New Mexico -- Obama is doing very well in these states and has a really good shot at picking them off from the Republicans. However, we'll see whether that fact might fire up the large numbers of Republicans in the states as we get closer to the election. New Hampshire -- McCain is doing better than I would have expected. It's very possible he could pull this one off. Wisconsin, Georgia, and Oregon -- These are long shots. But if any locks are in play it'll be one of these. President Elect projects that Senator Obama will win 284 electoral votes and Senator McCain will win 254. The Democrats have finally chosen their nominee and in the weeks ahead they could stretch their lead. However, the time they spent fighting the nomination has given the Republicans time to firm up their base. Some "red states" that might have been in play may not be anymore. But the states that are in play will be heavily fought and we probably won't know where they stand until election day. Watch for this year's battleground states to be: Ohio, Colorado, New Mexico, and to a lesser extent Florida, Virginia, Nevada, and New Hampshire. Bad news for Republicans is they won all but one of these in 2004 and haven't flipped hardly any "blue states" into play. Bad news for Democrats is Republicans won all but one of these in 2004! President Elect's analysis of the 2008 Electoral College vote, pitting presumptive Republican nominee John McCain against probable Democratic nominee Barack Obama, shows that if the election were today the United States would be electing the oldest person to ever ascend to the presidency. President Elect projects that Senator McCain will win 279 electoral votes and Senator Obama will win 259. I've got to be honest with you guys. I would not have believed this map three months ago! The drawn out campaign for the Democratic nomination, while extremely interesting, is taking its toll on the nominees. The fact that there are still Democrats fighting each other, digging up dirt on each other, and exploiting the gaffes of each other while the Republicans sit back, raise money (but not have to spend much), and solidify their base has changed this election dramatically. So how exactly have the Republicans turned things around? While the Democrats have been distracted with each other and focusing on whatever happens to be the next primary state, the Republicans have been paying close attention to states they need to hold onto in the general election and doing what needs to be done. That's the secret of this election that is not being reported. The Democrats may be doing well in national polling, but state-by-state polling is not going their way lately. The map has taken a definite Republican tilt in the past two months. While the Democrats have a very solid base to work on, the longer they take to pick a nominee, the more the Republicans are solidifying their base of states and picking off Obama's. 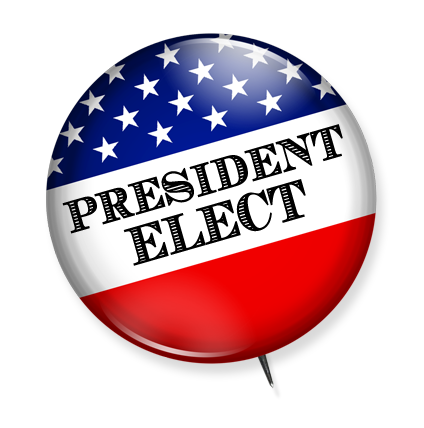 President Elect's analysis of the 2008 Electoral College vote, pitting presumptive Republican nominee John McCain against probable Democratic nominee Barack Obama, shows that if the election were today the United States would be electing its first black President. President Elect projects that Senator Obama will win 275 electoral votes and Senator McCain will win 263. This map has taken a definite Republican swing since the previous one. The main reason for this is the drawn out campaign for the Democratic nomination. I delayed the first electoral analysis back in March hoping the race would clear up a bit. It didn't. I certainly assumed back then that after 5 weeks we would have a victor. We don't. And the next primary isn't for another two weeks! While the Democrats are fighting amongst themselves the Republicans are lining up behind McCain. Had the Democrats settled their nomination sooner they could have taken advantage of the split that formed in the Republican party as McCain was wrapping up his bid. Instead conservatives have had plenty of time to put their differences aside without any interference from the Democrats. However things aren't all good for the Republicans. While they have picked up a huge chunk of votes since last month's analysis they do not have as solid a foundation to work from as Obama does. With 221 solid votes behind them, the Democrats just need to get 49 more to win the White House - a feat they can accomplish by picking up as little as three states. The Republicans on the other hand have only 154 solid votes to work from - they'll need a formidable 116 more to keep the presidency. If the Democrats can consolidate behind one candidate soon they could easily pull way back in front. By the way, I'll explain why I chose to use Obama over Clinton for this analysis when my blog re-launches. Look for it some time in the next two weeks. President Elect's analysis of the 2008 Electoral College vote, pitting Republican Senator John McCain against possible Democratic nominee Barack Obama, shows that if the election were today the United States would be electing its first black President. President Elect projects that Senator Obama will win 341 electoral votes and Senator McCain will win 197. The Democratic nominee has yet to be decided. For the puposes of this analysis I chose the frontrunner rather than having to do it with a generic Democratic nominee. Note that this is just the first of many projections to come - things usually change before election day. (Though in February 2004 my first analysis with Bush vs Kerry predicted the exact outcome of election day nine months early!) Look for this analysis to be updated at the beginning of each month until late this summer when the updates will come more often.